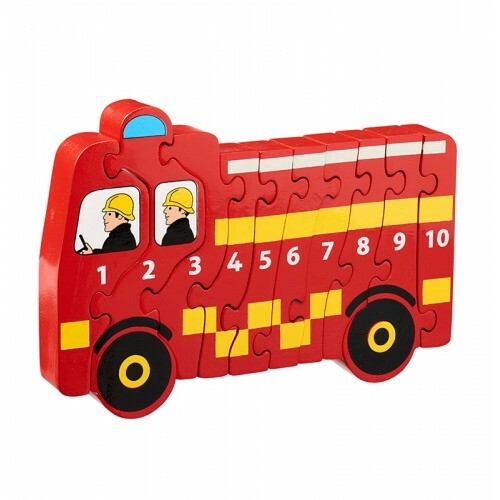 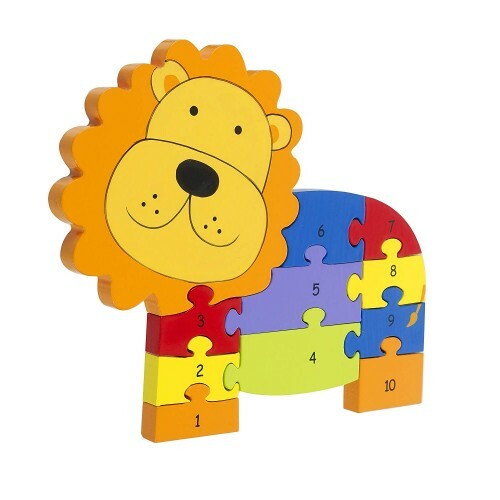 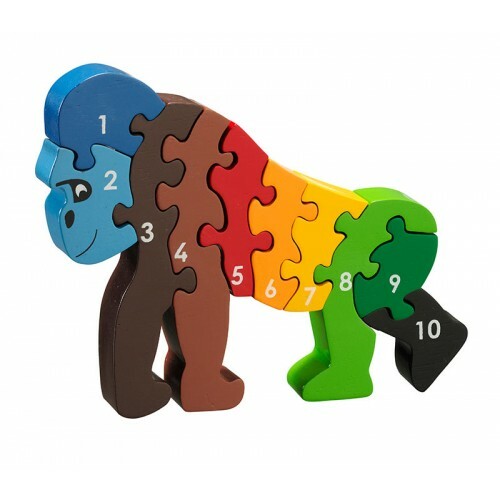 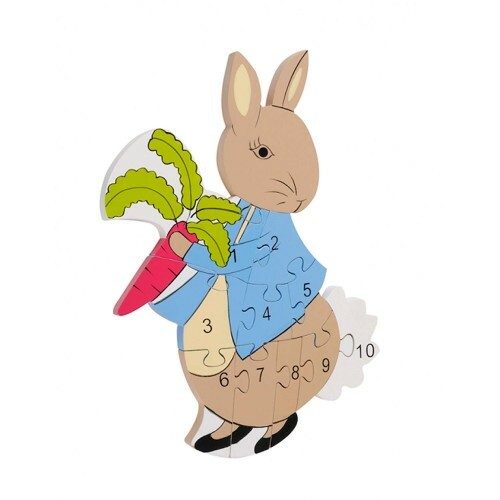 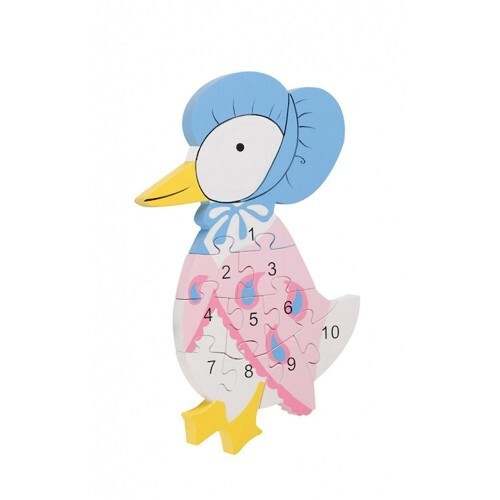 we sell a wide range of wooden puzzles to help your children learn how to count, recognize numbers and letters. 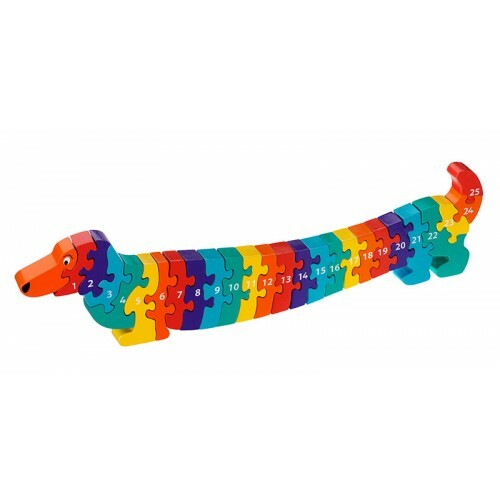 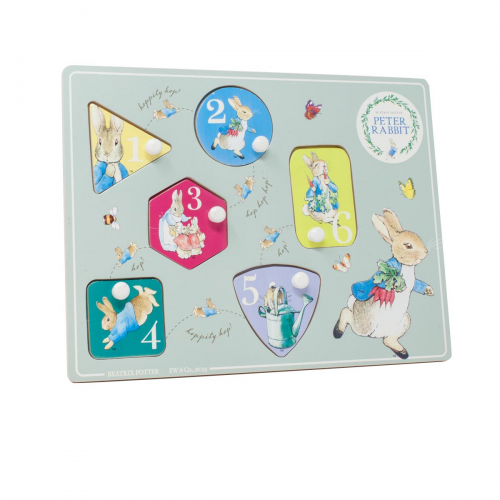 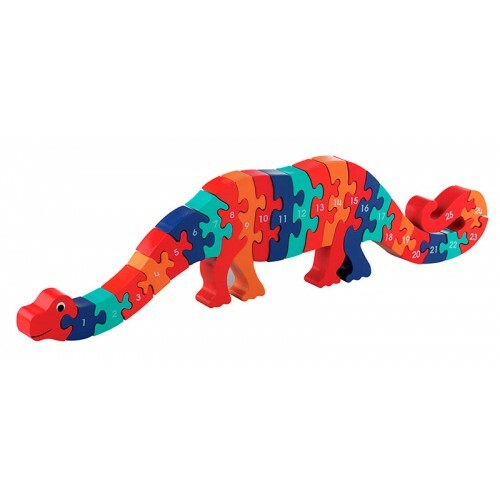 Including number matching games, peg puzzles, animal jigsaws that help maintain attention by building in to a fantastic wooden animal. 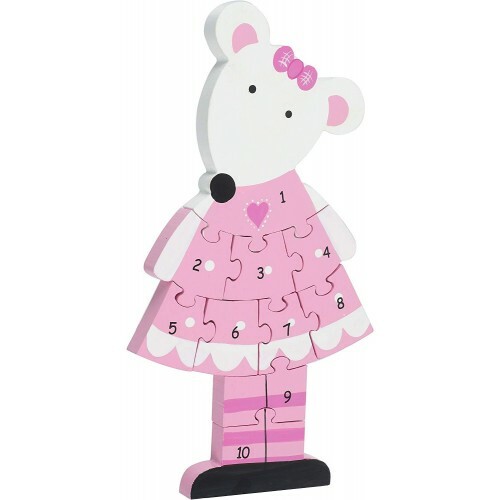 Lanka Kade Cat Number Puzzle Wooden number puzzle that helps children learn to count and to also ..
Lanka Kade Number Train jigsaw A wooden jigsaw that builds together to form a train, each piece i..
Lanka Kade Pink Dog A-Z Alphabet jigsaws Excellent wooden jigsaw in different shades of Pink, lit..
Rainbow A-Z Alphabet Crocodile Jigsaw Helps to teach the alphabet in a fun and easy way, hand pai..
Lanka Kade Welsh Dragon Alphabet Wooden toy puzzle in the shape of a Dragon, the pieces make up t.. 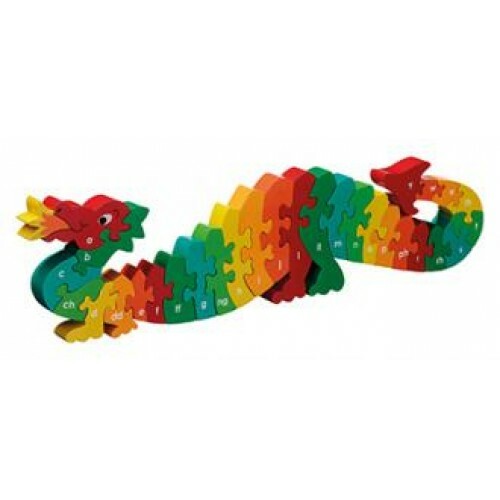 Guess How Much I Love You Number Peg PuzzleA very traditional looking and pretty peg puzzle that any..
Lanka Kade Crocodile 1-10 Number JigsawThis crocodile will not snap at you while you help your littl..
Lanka Kade Dinosaur 1-25 Number Puzzle A bright and fun Dinosaur that goes from 1-25, you can use..
Lanka Kade Dinosaur Jigsaw Help to teach your child the alphabet with this fantastic bright and f..
Lanka Kade Dog 1-10 Jigsaw Number Puzzle A chunky ten piece jigsaw perfect for learning through play..
Lanka Kade Dog 1-25 Number JigsawWoof Woof lets learn our 1-25 numbers in a fun way.This dog 1-25 ji..
Lanka Kade Dog A-Z Wooden Jigsaw Puzzle Woof Woof no need to worry this dog doesn't make a sound ..
Lanka Kade Fire Engine 1-10 Number JigsawThis fire engine 1-10 jigsaw puzzle is perfect for little h..
Lanka Kade Gorilla 1-10 Number JigsawThis brightly painted gorilla will have your little one countin..
Lanka Kade Green and Blue Dino 1-25 JigsawThis dinosaur 1-25 jigsaw is perfect for little hands. 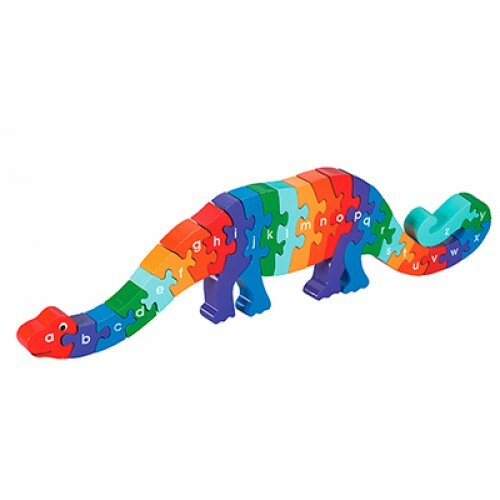 A f..
Lanka Kade Train 1-10 Number Puzzle JigsawChoo Choo let this train take you on a journey where you l..
Lanka Kade Wooden Digger Number PuzzleA chunky ten piece jigsaw perfect for learning through fun pla..
Lanka Kade Wooden Whale A-Z JigsawBeautifully hand crafted from rubber wood and painted with non tox..
Crocodile Wooden Alphabet Puzzle A fantastic bright and colourful wooden jigsaw type puzzle ..
Orange Tree Toys Crocodile Number PuzzleIntroduce little ones to the numbers 1- 10, with this fun 11..
Orange Tree Toys Jemima Puddle-Duck Number PuzzleA brand new addition to the Peter Rabbit™ collectio..
Orange Tree Toys Lion Number PuzzleAny child will love this friendly lion and enjoy putting him toge..
Orange Tree Toys Peter Rabbit Number PuzzleA brand new addition to the Peter Rabbit™ collection from..
Orange Tree Toys Pink Mouse Number PuzzleAn addition to the popular Pink Mouse range, introduce litt..
Peter Rabbit Wooden Number Peg PuzzleLet Peter Rabbit help teach your child numbers 1-5 with this be..
Tender Leaf Toys Alphabet PicturesThis traditional educational toy is beautifully designed with lett..
Tender Leaf Toys Bear ClockThis bear will help to teach you how to tell the time in a fun and friend..
Tender Leaf Toys Citrus FractionsIt is never too early to start teaching your child and this brightl.. 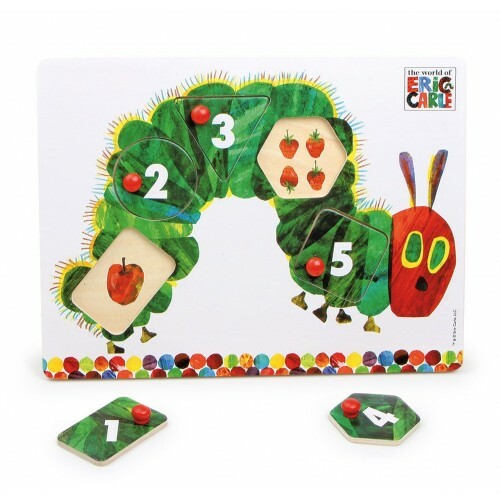 Very Hungry Caterpillar 1-10 Number PuzzleEverybody has heard about the Very hungry Caterpillar! 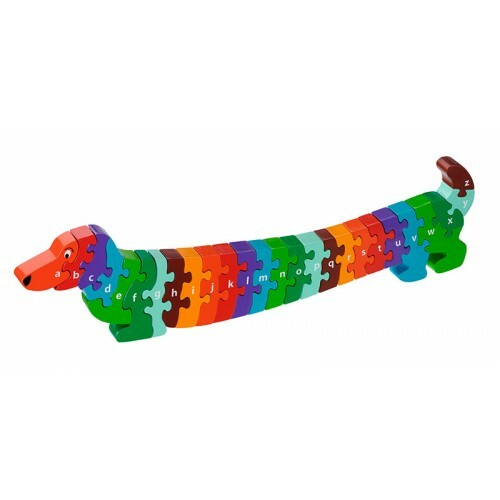 Now.. 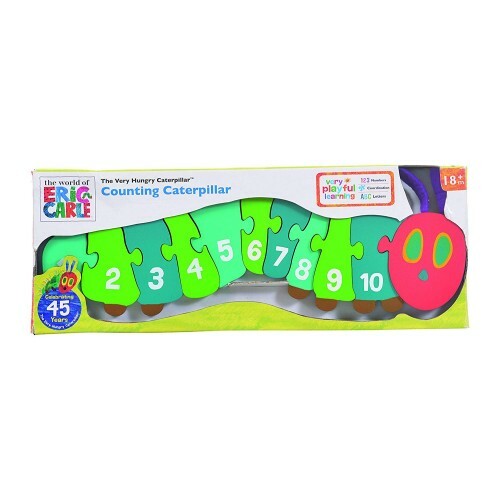 Very Hungry Caterpillar Number Peg PuzzleWhat a lovely way to teach your child numbers 1-5 this puzz..